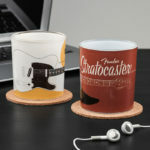 Take a break from your next band practice and enjoy a refreshing drink in these super-stylish, super-cool Fender Drinking Glasses. Known as the Fender “Strat” and “Tele”, these electric guitars are instantly recognizable iconic musical instruments. 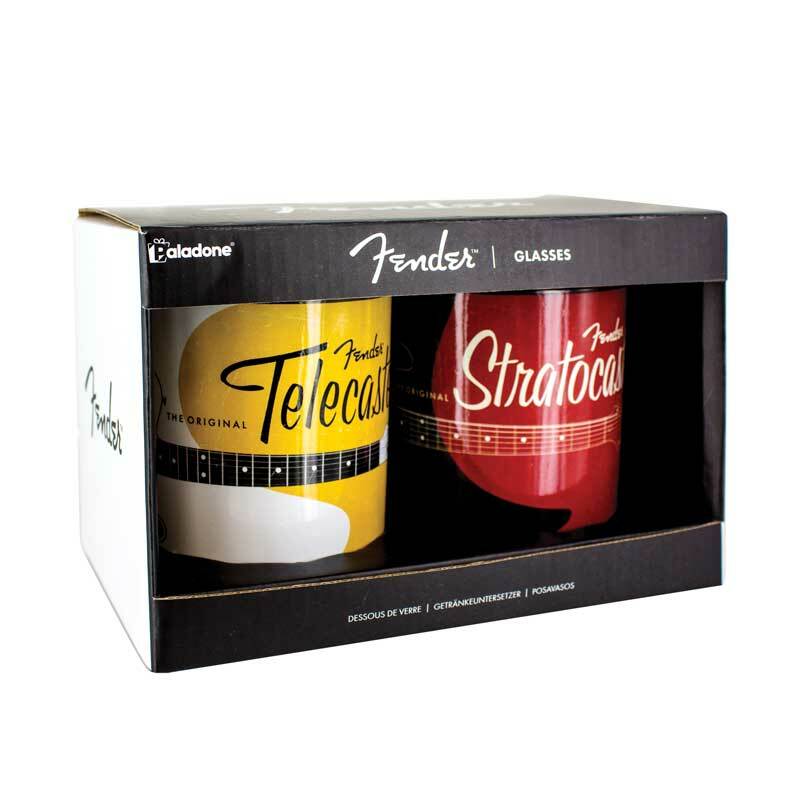 These officially licensed Fender products are an ideal gift for guitarists, perfect for home & studio! 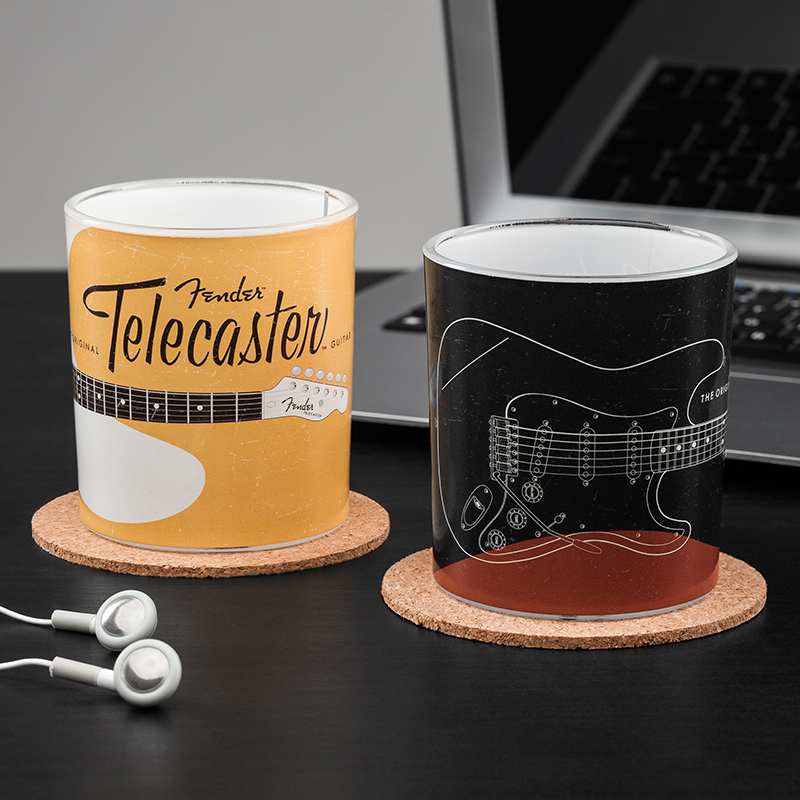 Take a break from your next band practice and enjoy a refreshing drink in these super-stylish, super-cool Fender Drinking Glasses. 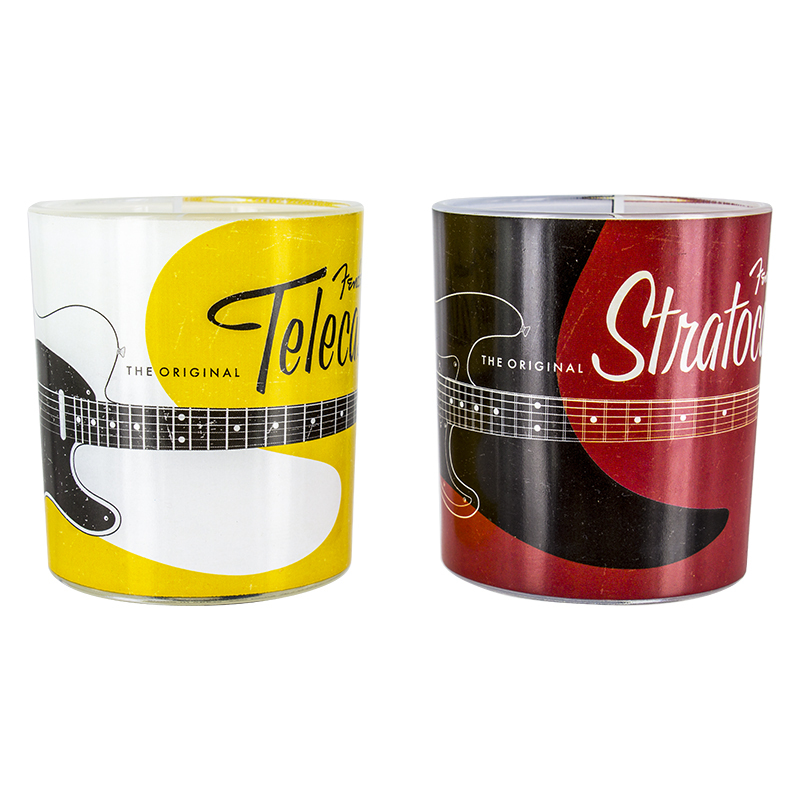 Full-wrap print designs featuring the Telecaster and the Stratocaster. Arguably two of the most iconic electric guitar models throughout the instruments history. 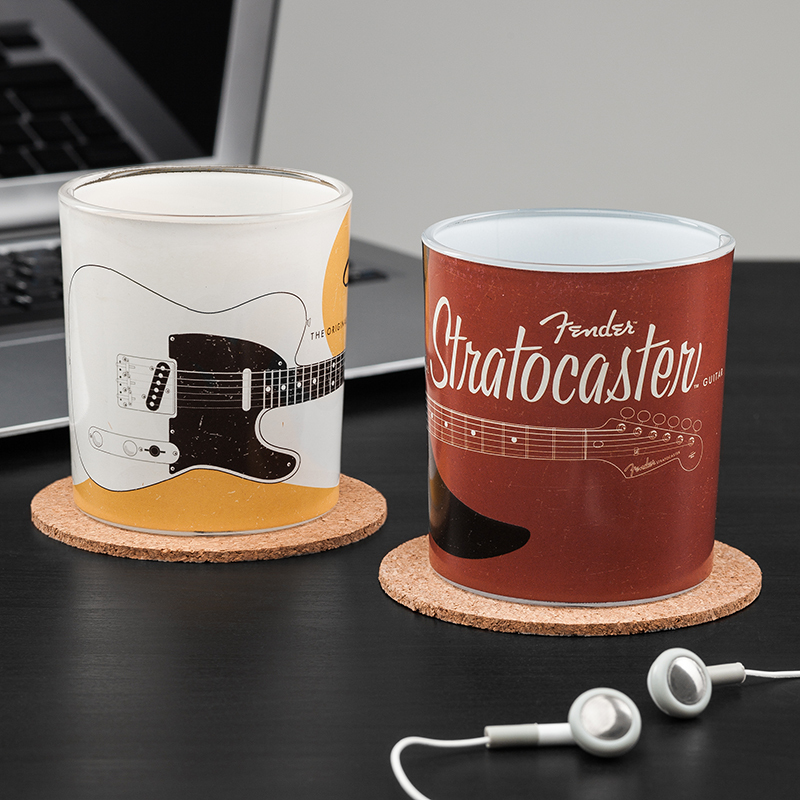 These Fender Drinking Glasses make a great addition to your home and are also a fantastic gift for fans of Fender guitars and lovers of music in general. Fender is a world-renowned manufacturer of guitars and amps, and is considered a cultural icon and a household name.